Saving money and getting your finances in order is a good idea during the summer. For one, the children are home all the time, so you can include them on all of your decisions. It’s been shown that when children truly feel like you’re being mindful of their thoughts and emotions, they’re much more likely to respond favorably to you. They are also much more likely to be active in doing things that benefit the family as a whole. For example, if they’re prone to leaving the lights on in rooms where they aren’t even doing anything, they may turn off the lights more often. Same goes for water usage. They may try to make a game out of who can help the family save the most money. And let’s not even go into supermarket shopping, where it seems like they have an ongoing list of stuff they feel they have to have. Below are three great ways to save even more money this summer than before. Your family probably has a lot of policies they haven’t touched in a long time. Home insurance, car insurance, life assurance cover…the list goes on and on. If you haven’t checked whether or not you could save money on your premiums, then you’re basically losing savings that could help keep more money in your pocket. To fix this, it’s best to call the company directly. Review your policy on the phone with them. If you don’t have a copy of the original contract you signed, get them to send you one first before you go into the negotiations. You want to be able to know your policy inside and out. What does it cover? What does it not cover? Then when you have a firm grasp of your policy, ask for a better rate based on your solid payment history and low risk profile. Remember that in the world of insurance, risk is really the name of the game. The new tax season is here, so you might as well get a jumpstart on your ISA. This is basically free money the Government is allowing you to keep. This year the limits have gone up to 15,000 GBP, giving you even more money that you can shelter. You may choose to keep it on the cash side or on the stocks & shares side. It’s completely up to you. There are a lot of different ways to save money over the summer, but we thought these three tips would serve you especially well. We owe you an apology, readers. See, we’ve been pushing this theme of save, save, save, but doing it in a way that’s still left you with questions. If there’s one thing that we don’t like doing, it’s leaving you with questions. It’s making you feel that there’s just no way that you’re ever going to get out of the situation that you’re in. We’re not fans of this technique at all, because that’s what a lot of finance sites do. They refer to some vague principles and expect you to fill in the dots. Now, we can understand why you wouldn’t want to make everything specific. You see, personal finance is what you make of it, and there are so many different points and notes that affect people differently. Everyone’s financial situation is different, which means that you’re really going to need to make sure that you keep everything in perspective. There’s nothing wrong with reading finance guides — in fact it’s actually the best thing that you can do for yourself. However, you will still need to take everything and adapt it to your own needs. That’s really the best way to go if you ask us. So, back to the question at hand — just how much are you supposed to save anyway? If you’re hungry to build an emergency fund that you can count on, this is an important question. We want to strike a balance between the type of life we want to live and the type of life we want to live for the future. Saving helps you build the type of life that you want to live in the future, but what about the present? If you don’t spend at least a little bit of your money, you’re always going to feel deprived. So let’s say that you have a take-home pay of $3,500 dollars a month. You want to immediately set aside your savings. If you are trying to go for 50% essentials, 30% wants and 20% savings, this would break down to $1,750 going towards bills and debts, $1,050 going towards your wants (like entertainment and clothes, etc), and then $700 going to your savings. This isn’t a bad deal at all — that actually gives you $8,400 a year in savings alone. If you put that even into a regular savings account that carried just a 1.1% APY, you would have $43,901 in 5 years. And that’s just doing the same thing month after month — withdrawing your money and putting it in the savings account. IT doesn’t require you to be a financial whiz kid or anything like that. Now, you may have to adjust your percentages base don the type of financial situation you’re currently in. If you’re the type of person that is carrying a lot of debt, your “needs” column might be 60%, not 50%. This would naturally change your savings and the amount of money that you would have left over for fun stuff. Speaking of fun stuff, if you really want to pay your debt down faster, you might have to be a social monk for a little while. This is where people start hating on the personal finance bloggers, but we kind of have a point across the board — life can be fun now or fun later. Most people choose “fun now”, not realizing that fun later would actually be a better option all things considered. What’s more important than percentages is consistency. It’s not enough to just throw money into the bank account and then stop — you’re going to want to do this month after month, year after year until you have a nest egg that you can be proud of. Sure, it might mean that you don’t get your hair done as much and you might be hitting the used clothing shop rather than Macy’s, but you’ll thank yourself later when you have the down payment for a home, or something that’s equally important to you. Now is the time to make change happen in your life — are you ready to step up? People will do just about anything in order to save money. Whether it is stuffing in those extra condiments or asking for a ride. It is exciting and it is even better than a raise because the saved twenty quid are entirely yours to keep, whereas you will lose five or more out of the earned twenty. It is alright and even good to look to save money on stuff. There is nothing wrong in shopping around and looking for cheaper deals. However, some of the ways that you find in magazines or websites are simply outrageous. Apart from raising some ethical concerns, they are nothing more than time pass entertainment. I would recommend you to read them for the sake of entertainment but would never suggest them to anyone as a means to save money. Here are a few that simply top the charts. Here is a mother’s confession. She used to tell her children to take as many free condiments, all the ketchup, mustard, salt and others that they could possibly take whenever they “paid” a visit to any fast food place. Moreover, she also made her kids empty these packets into her regular ketchup and mustard jars. The proud mother says that she hasn’t had to purchase any of these condiments. There is one more creative suggestion from one penny pincher. He saved money on his car washes this way. No, not by washing it himself (because technically the soap and water would still cost him!) but by doing it using that gas station squeegee; the things people can do! Well, if that was out of the earth then read this one. A man suggests that if you want an umbrella for free then simply visit the lost and found section of any big public library. Inform them that you have lost your black umbrella. Almost certainly, they will have several. You can choose the one you like and claim it for yourself. Now, what if they do not have black ones? Well, we might have to wait until this guy suggests a chart colour frequency. This is an amusing suggestion here about saving on long distance calls. Simply, call when you are sure that they will not be at home. You can simply leave them a message and then they will pay when they call back. However, nothing is said about the chance that you call and they happen to answer. Well, I think then you simply hang up and call back later. None of these suggestions should be used by anyone. They are nothing more than a mere waste of time. you can read them and use a few laughs but I don’t think they are of no more use than that. Instead of spending your time and energy after these “techniques,” you would save far if you simply work an extra hour. Who doesn’t want money? Everybody could use some extra cash, especially so if you are retiring. However, not many people are able to get it. Most people, fail to save up enough for their retirement owing to bad spending habits. You cannot build your retirement fund in a day or two. It will require time but you can speed up the process a little bit by bettering your spending habits. Nevertheless, it is possible to change your lifestyle so that you can develop better spending habits. First, avoid spending a lot of time simply sitting in front of your television. Not only is it bad for your circulation, it steals away the time that you could have otherwise spent with your family. If you happen to like reading, then you should frequent your local public library as often as you can. You do not need to purchase any books from any store. If you be patient then you will see that your library has acquired the book that you wanted to read so much. People tend to spend a lot after their addictions. Hence, if you happen to smoke then you can begin to reduce the amount of cigarettes that you smoke every day. You might not be able to give up smoking suddenly. However, with time, you might be able to even that. Thus, you will save not only that extra money you spent every month on cigarettes, but you will also save your health and hence the medical bills. If you work somewhere not too far from your home then you can ride a bike to work or even walk to work if that is possible. It will help you boost your overall health while also doing good to their environment as well as your pocket. Avoid eating out too frequently. Eat at home. You can try out different recipes while saving money simultaneously. Moreover, you will get to spend quality time with your family and you will also learn to improve your cooking. Several people drop in a coffee joint on their way to work and spend a few bucks on coffee every day. Now, if you sum it up for a month, it can be quite a lot. Therefore, it is better to take your coffee from home. You can use a thermos to keep it hot. Avoid using your car as far as possible. Take a walk instead of your car. Saving on parking fees and gas can be quite a big save. These are just a few of the changes that you can make to your lifestyle to see more money saved as well as more health improved. Well, let me think. Yes, here is an interesting way to reduce your telephone bills. Simply call someone when you know they will not be there. This way you can leave a message and they will have to pay when they return your call. So, what if your timing is bad? Alright, let us all get serious here. I am not here to tell you about some hopeless technique. These are simply some practical ways in which you can actually reduce your phone bills. Read on and find out. Set your priorities straight. It is better to work towards reducing your telecom bill by 20% instead of working to halve your spending on vending machines. Understand the things that you can and cannot do. It is better to hire someone to help you reduce costs instead of trying to do it yourself when you do not have the time to know what the costs are in the first place. Learn to do the calculations first. If you are switching to a new company simply because of some great offer then check if the costs do not rise up drastically after the initial “grace” period. You can save a lot on your phone bills by limiting the calls you make to mobile phones. The prices are high and they make up for about half of your monthly phone bill. Therefore, make sensible use of your phone. Consider the minimum charges of each call and the strategy of rounding up. You can end up paying quite a lot. Capped calls are another area where you can expect to pay more. Business calls usually last no more than two minutes. If you have a capped call tariff then such calls will cost you a lot more. You can reduce your line rental as much as between 10% to 25%. The calls to 0870 numbers are always expensive and it is possible to reduce this expense even though at times these calls are inevitable. You can request the respective company if they have any local number that you can use if you want to call from outside the country or from abroad. You can also note down the number when they happen to call you. Caller displays usually will help you see their original number. If you do not get it then you can find them on BT’s directory enquiries online or you can get it from their website. Alternatively, you can look on 192.com. You might just find them there. Another website is saynoto0870.com. This is an amazing website where you can find the listings of the phone numbers of several companies. Thus, there are a number of ways in which you can reduce your phone bills. 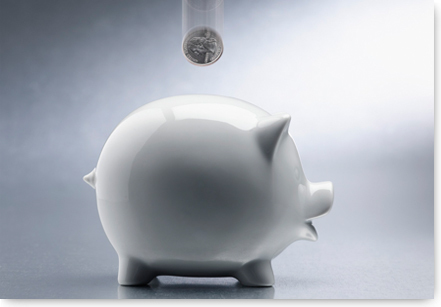 The biggest and most effective method of saving money each month is by lowering the bills every month. You will be able to save quite a lot without having to do much about it. Paying your bill is that one expense that most of us struggle to keep up with. In fact, the many unfortunate ones who think of ignoring the problem will put off paying their bills and then end up in big debts. 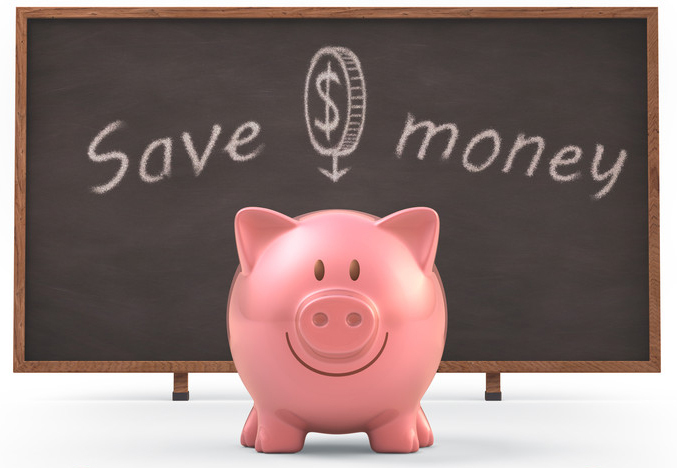 You can save a lot of money by saving on your monthly bills. You can save on just about anything from food, clothing, gas to the bigger ones like your insurance or even your mortgage. The trick is to look in the right direction. First, begin by eliminating all your useless or unnecessary expenses. This will include things like eating out during the weekends, magazine or newspaper subscriptions that you can get at your library or online, cable TV, buying lunch and such other things. These are seemingly small expenses but once you get them out of your budget, you will surprise yourself at the money you save. Now, I am not saying you have to lead a drab life. You can of course give yourself a reward every now and then, but if you want out of debt fast, then it is only logical to save all that you can. 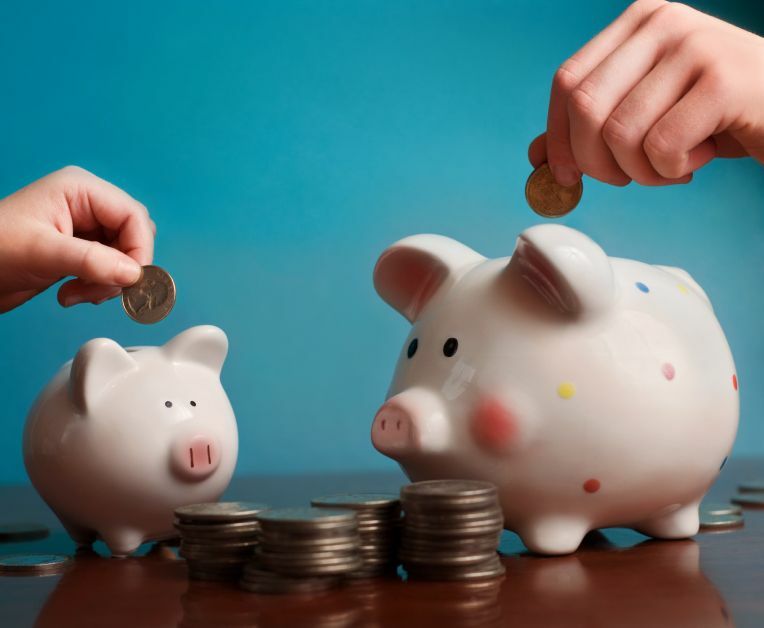 These are the general savings you can make. In order to find out some more expenses that you might be making without actually knowing it, you can go through your card statements or your chequebook. Another thing to do would be to call up your card company and inquire if they can lower your rates of interest, even if that is for some short period. Good prices come to those who look for them. This is one moneysaving principle that you should not forget. If you make the effort and look around then you will surely find what you need at a cheaper price. This principle comes in useful especially for those things that you simply cannot eliminate out of your expense list. Shop around and look for good deals on the different things. In fact, you can save hundreds every month if you can find better deals. You can find good deals on your car insurance, mortgage, internet service, telephone and even those utility bills. You do not need any particular skills for doing this. All you need is some patience and a good eye and you will be able to save enough to come out of your debt soon.